If you are doing business in Miami, there are a number of opportunities for you to expand your business network. Business growth in today’s competitive landscape has become impossible without adequate business networking. Business networking tips in Miami allow you explore new business opportunities, meet prospective clients, suppliers and partners, and even collaborate with foreign businesses. Situated at the gate of the US Gulf, this business hub offers a wealth of opportunities if you know how to network properly. The following sections offer some useful business networking tips and ideas for Miami businesses. One of the best business networking tips in Miami or Doral is to attend business lunches. You could organize one yourself or get a chance to participate in such. However, this will again depend on your networking and PR skills. Knowing the right persons and getting in touch with them is the best thing for business networking. Often, your business contacts will introduce you to their friends, and this way, you can really exploit the power of social networks. Keep a tab on upcoming business events in your industry, which usually take the form of trade shows, international fairs, and award ceremonies. This can be a fabulous place not only to learn what your competitors are doing, but also to reach out to potential customers, suppliers, and partners. 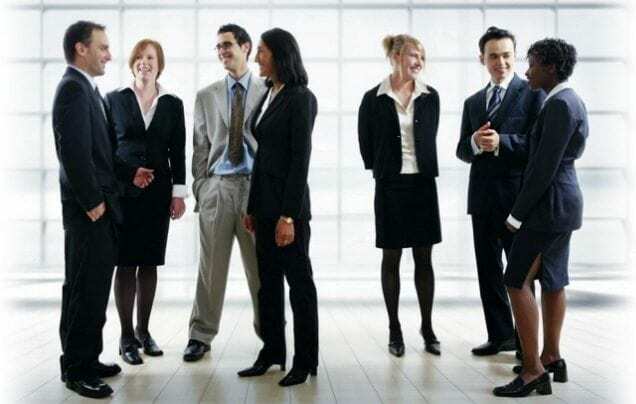 Business networking tips in Miami are not all about making new relationships; it is about building upon and maintaining existing partnerships. During the normal course of daily activities, it may be difficult to take out the time to convince a business partner for their contribution. Business networking events offer you the opportunity to validate your relationships by acknowledging and strengthening them. Take some time to get in touch with existing business partners at such events, and it will go a long way in your business relations. While following business networking tips in Miami or Doral, make it a point to invite criticism as much as you seek praise and positive feedback. Seek out genuine customers and listen attentively to their experiences with your products, services, and employees. Such experiences can offer unique insights that can even inspire you to develop innovative products and services. When meeting business people, make sure that you follow business networking tips in Miami, which give you a clear idea of your purpose. Business people are quite busy at these events, and they only want to pursue relationships that can translate into mutually beneficial business opportunities. It is a good idea to visit a number of different groups at such events and learn what the different businesses are looking for. Approach an individual whose skills and experiences complement yours so that both benefit from the relationship. Remember the key to any networking event is lots of business cards and we offer over 20 kinds of premium business cards such as silk laminated, linen, full color foil business cards, spot uv and more! Previous Previous post: Should you invest in commercial signs?